London School of Economics and Political Science is ranked thirty-five in the world and recognised among the world’s best universities. Among its notable Alumni, many stand out in the areas of history, law, economics, philosophy, business, literature, media, and politics. Alumni and staff include numerous past or present heads of state or government as well as many members of the current British House of Commons. LSE alumni and staff have also won 3 Nobel Peace Prizes and 2 Nobel Prizes in Literature to date in 2018. London School of Economics and Political Science also runs many research centres which include the Centre for the Analysis of Social Exclusion, the Centre for Climate Change Economics and Policy, the Centre for Macroeconomics, the Centre for Economic Performance, LSE Health and Social Care, and the Financial Markets Group, among others. LSE has academic partnerships in teaching and research with six universities: Columbia University in New York City and the University of California, Berkeley, in Asia with Peking University in Beijing and the National University of Singapore, in Africa with the University of Cape Town and Europe with Sciences Po in Paris. The school’s main library is the British Library of Political and Economic Science and is located in the Lionel Robbins Building. It contains over 4 million print volumes, 60,000 online journals, and 29,000 electronic books. It was founded in 1896 and is the world’s largest social and political sciences library. In addition, it is the national social science library of the United Kingdom and the Commonwealth. Do you have experience studying at London School of Economics and Political Science? Please tell us your story! You can do this by leaving a review below. We cannot wait to hear all about it! Lots of top B.B. ppl come around feeling like employers care more about us than teachers. Reputation is good, but doesn’t feel like going to a university but rather a place to take away yr degree then go offf to job. Some teachers are quite nice, but won’t find out until you proactively talk to them. Pik is nice btw Overall, it is worth going. It’s a great school! I’ve enjoyed the life here since I entered the school. I cam choose the course I’m interested in not only from my major, but also from a range of other subjescts. I have also participated in several fun societies. LSE is definitely a different type of university compared to other British ones. For one, it feels more like a business rather than the classic university experience which the majority of your friends will have if they go to a campus university such as Nottingham or Birmingham. 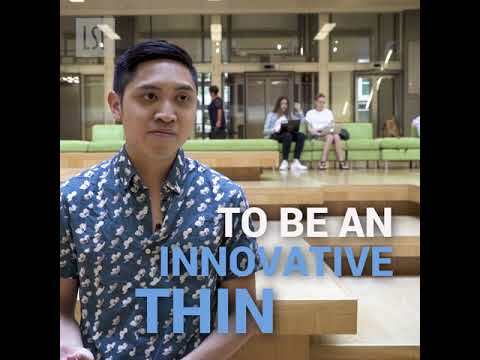 Despite the perceived lack of student satisfaction, I really think that to enjoy LSE, you need to make the most of it and get stuck in to the university life. Join the AU, stay at halls in first year, meet others in your department, join a committee, get an SU job, go to the LSE events. This will massively improve your time here, especially if you’re a sociable person. You’ll definitely encounter a mix of people – a lot are here to get the advantage of connections and go into banking and finance but don’t let that deter you. Use it to your advantage and let that work ethic motivate you rather than hate on it like most of us do. The modules are really interesting and the degrees here are intense but it gives a good amount of preparation for the future. LSE is also extremely small so at times it does give off a boarding school vibe – this appeals to some and doesn’t to others. But being in London is one of the biggest advantages so utilise that well. Overall, I’d recommend it if you’re proactive with your social life and enjoy being surrounded by intellectual and interesting people from across the world. My experience at LSE has been positive, but sadly this isn’t the case for everyone. If you get involved and make the most of what’s on offer, it’s an amazing experience, especially through the History department. Courses at the LSE are rigorous and there is a noticeable jump from earlier studies – you are expected to learn a large volume of content in immense detail, and qualitative subjects offer a limited number of contact hours. For history courses, there is a lot of reading required, and it can be overwhelming at times. However, the content is almost always fascinating, and I have learned so much about the world through my studies. Learning at the LSE is interesting and broadened my horizons, particularly through the regular event lectures welcoming notable speakers. There is also the opportunity to learn languages. There is undoubtedly variation in what departments offer, but the History department is certainly one of the best and is recognised as one of the best in the world. The academic staff cover a broad range of periods and regions/themes, with research interests focused on international history post-1900. Lecturers are friendly and approachable (if you make the most of office hours) and are genuinely keen to support one’s studies. Feedback on essays is prompt and detailed, although the quality of classes and seminars can vary with some teachers. The administrative staff are also exceptionally friendly and supportive. One of the first things I noticed was the disparity between the quality of the History and IR departments. The social life is available, but you have to go out and make the most of it. There is a careers focus which can be difficult to avoid, but it is possible. Societies and sports clubs offer a useful way to meet others with likeminded interests, and help to balance the workload and improve the university experience. Most of my friends were made through halls (Passfield is amazing) but I have made other friends through social activities. The Union offers a variety of events, but their work is often not advertised widely and requires seeking out opportunities. Studying in London is an incredible experience, but the wealth of activities such as museums and parks come at the expense of expensive rents. I’ve loved my time at LSE, and would recommend my course to anyone with a genuine interest. LSE is challenging in both an academic and developmental sense, but in my opinion is the best in the world for certain subjects. Living in London, meeting likeminded people, learning about topics I am passionate about and exploring new hobbies through societies offered everything I wanted out of my university experience. There is room for improvement, but that’s true of any university. If you come to LSE with an ingrained suspicion, you inevitably hunt for faults. But if you come to LSE with an open mind and get involved in all the LSE and Union have to offer, you will likely have an amazing experience and gain a world-class education. If you're the owner or representative of London School of Economics and Political Science - LSE, you can claim this University and build a better profile. Interested in studying at London School of Economics and Political Science - LSE?